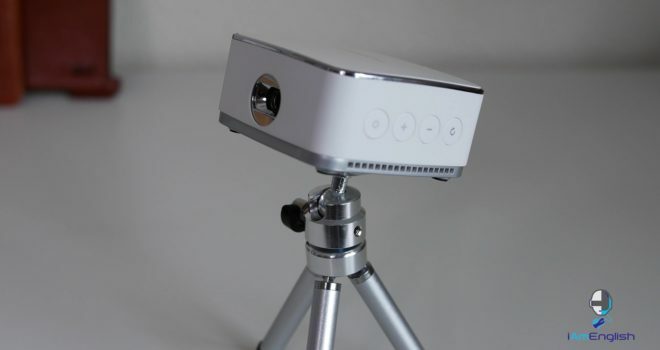 The mini projector by Puridea is a very elegant piece of tech and to see it perform, leaves your mind a bit boggled. How can something so small operate with the quality that it does? 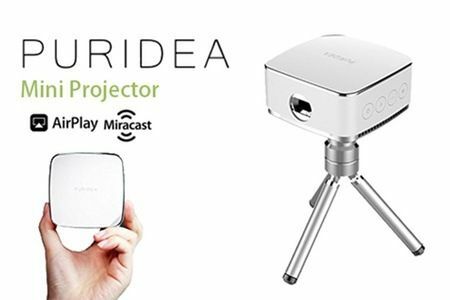 Puridea set a bar with their mini projector and i’m sure many rivals will look to see what they have done right, in order to implement those successful features into their own brands. What makes the mini projector so neat? For starters its very compact and light weight, which makes for an awesome combination. Next is the accessories that come along with it; Puridea wanted to make sure you had everything possible to make your first impressions of their product a positive one. They provide you with a remote control to operate the device separately if you choose, as well as a tripod & mount. What is special about the tripod is, it comes with a ball head mount which allows you to connect the projector but also adjust your angle and tilt of the display. This project can cast a great image and is a pleasure to setup. First of all, you can use just about any third part application on your mobile or tablet with miracast capabilities. The mini projector can also be connected to your WiFi network to function independently from your devices and be used with your Windows PC. The thought process for building this projector, was well thought out; but not perfect. Some negatives to note, the sound quality while not bad, is far from superb. What makes this negative less critical is the projector’s ability to use and external source instead of relying on its built in function. By using external speakers your able to get more of a dynamic range offered by your media. Lastly the Battery life, while atrocious, you can squeeze out an almost-solid 90 mins of streaming media. The short battery life makes you reevaluate the purpose for such a product to exist, but there is one solution that I have found to make this mini projector worth the trouble. Using an external battery source such as a power bank, will solve your woes and lengthen the life span of your streaming capabilities. It’s a great product with a great future. Puridea has started off on the right foot and can make some serious profit in the future by examining the negatives and improving on the overall design and how to implement better components to make a users experience a one of a kind. Check out the full video review below!